China has accused India of incursion into its territory between Sikkim and Tibet, in a dispute which has raised tensions between the countries. 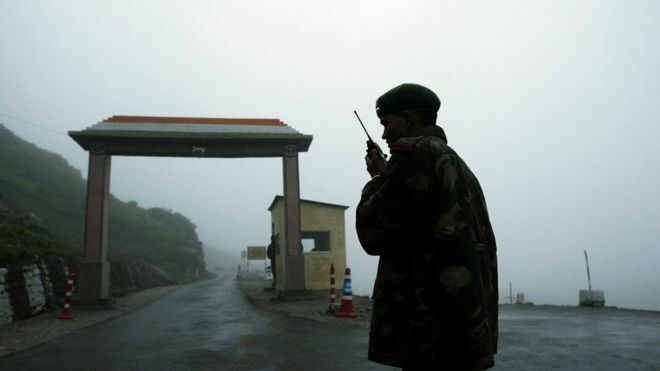 Officials said Indian border guards had obstructed "normal activities" on the Chinese side, and called on India to immediately withdraw them. India also recently accused Chinese troops of incursion on its side. The area, the Nathu La pass, is used by Indians going for pilgrimages to Hindu and Buddhist sites in Tibet. The region saw clashes between China and India in 1967, and tensions still flare from time to time. The BBC's South Asia Editor Ethirajan Anbarasan says the latest development appears to be one of the most serious escalations between the countries in recent years.